Add an elegant, sophisticated look to your cabinetry with help from the Liberty 3-3/4 in. Dark Oil-Rubbed Bronze Tapered Bow Pull. This pull features a dark oil-rubbed bronze finish and a casual style. Mounting hardware included for easy installation. 3-3/4 Tapered Bow Pull, 1 per package Add an elegant, sophisticated look to your cabinetry with help from the Liberty 3-3/4 in. 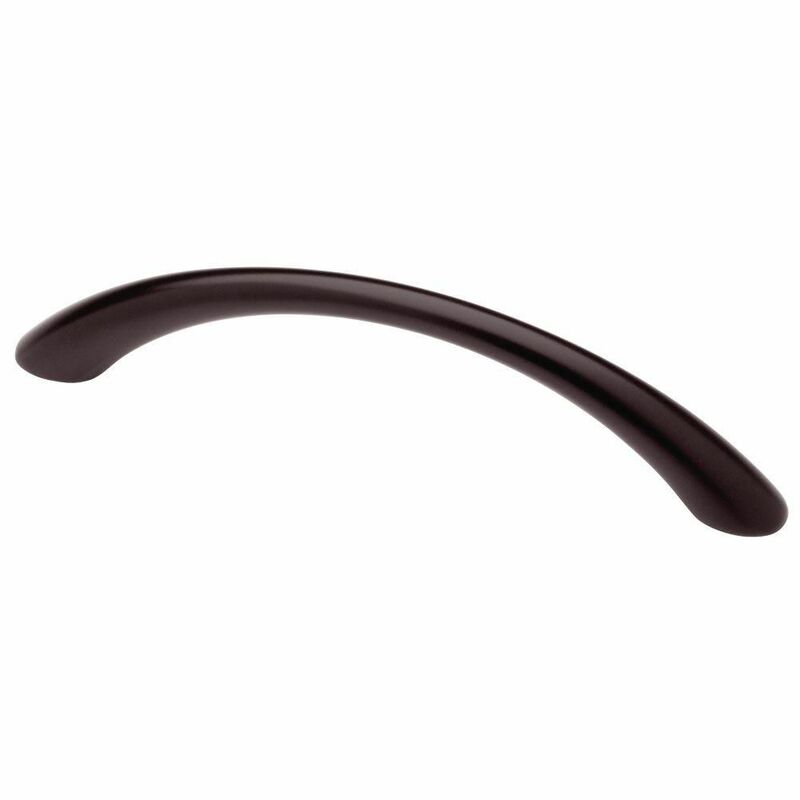 Dark Oil-Rubbed Bronze Tapered Bow Pull. This pull features a dark oil-rubbed bronze finish and a casual style. Mounting hardware included for easy installation. 3-3/4 Tapered Bow Pull, 1 per package is rated 4.5 out of 5 by 54. Rated 5 out of 5 by Shopper from Love the shape an look. Arches enough to give... Love the shape an look. Arches enough to give plenty of room for fingers when pulling out drawer. Great price. Rated 5 out of 5 by JCW from Sturdy. Good looking. Comfortable even for large hands.... Sturdy. Good looking. Comfortable even for large hands.